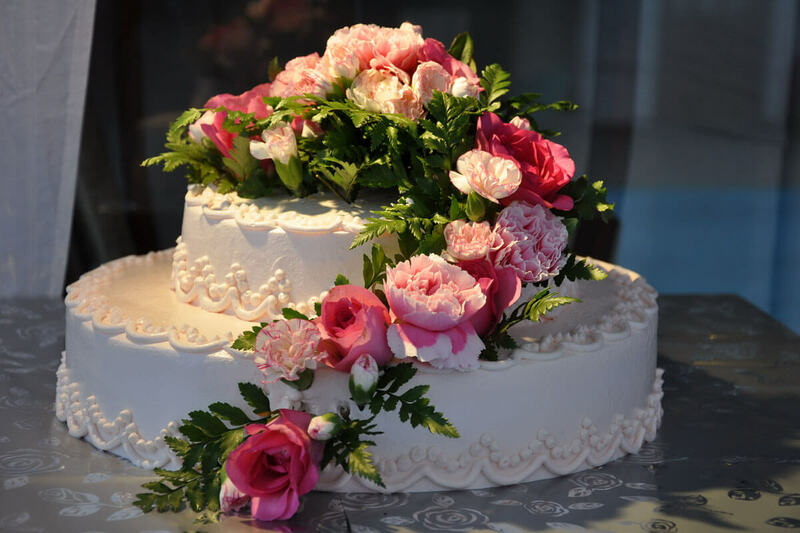 A wedding cake is the traditional cake served to the guests at a wedding reception (or in parts of England, at a wedding breakfast) after a wedding. In modern Western culture, it is usually a large cake, multi-layered or tiered, and heavily decorated with icing, usually over a layer of marzipan or fondant. Achieving a dense, strong cake that can support the decorations while remaining edible can be considered the epitome of the baker’s art and skill.